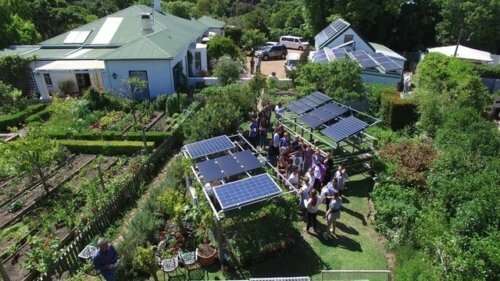 We all know the power of SHD to promote a more sustainable way of living in Australia, we are now hearing about other events around the world that are happening because they have been inspired by the commitment and dedication of our homeowners. In Cape Town, South Africa Leigh has been so inspired she is starting up Sustainable Living Open Day on November 10th this year. Leigh heard about SHD through the involvement of the Australian Electric Vehicle Association – WA (AEVA) in the the Perth Renew Branch activities. Leigh lives in a 106 year old farmhouse called Welbeloond. 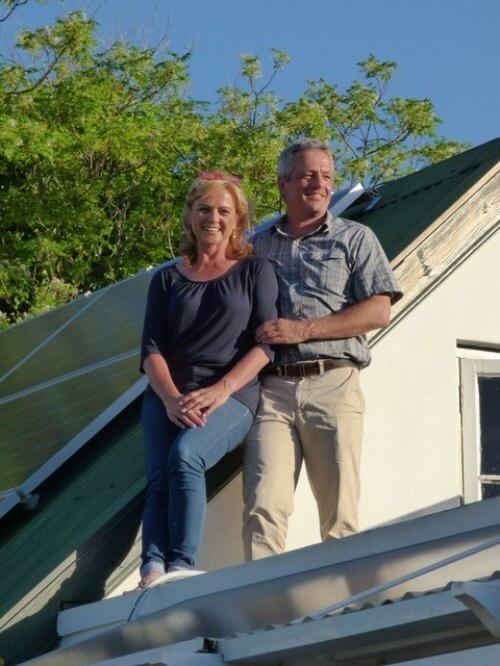 They were the first household In South Africa to install a solar system and then legally export power back to the grid, under legal contract, in October 2014 . It was the start of breaking the monopoly held by the National power supplier Eskom and coal fired power stations. Read more about it here. They have a solar laboratory where we host visiting schools and other interest groups to spread the word. 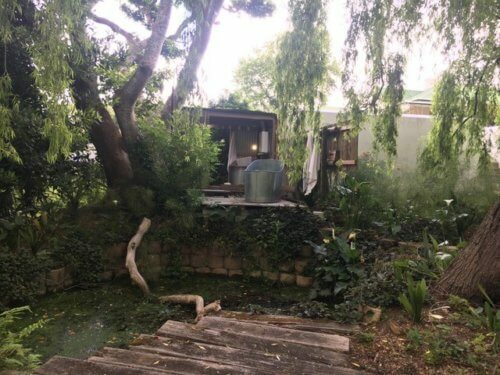 Their home is largely off the water grid, thanks to groundwater harvesting and to beat the recent drought they built an outside bathroom using off grid water for a guilt free shower or bath. 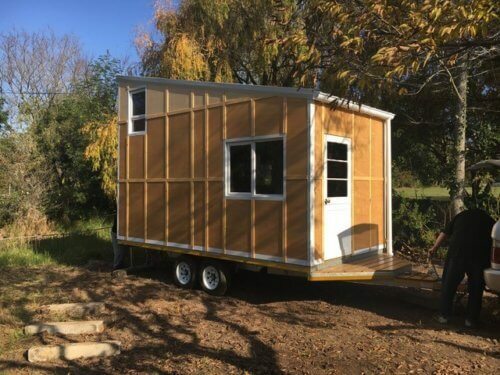 Recently rented part of the garden to a tiny home owner, we believe Cape Town’s first. There is also a huge “ sustainable treehouse “ built to allow the tree to grow without injury.